I think I did mention that I'd be subbing on my Sunday Niters team instead of being a regular bowler, and my first opportunity to sub was last night, for Peter. Back-to-back good nights, but a little more consistent last night. My biggest problem seemed to be chopping the 6-10, but I also only missed one single pin (a 10, but I didn't leave it often). If our anchor got the second hit in the 10th second game, it would have been all eight, but we had to settle for six. Well, bowling didn't go well, this week. the knee is very painful in the slide, to the point that my body actually stops before it. That puts me off balance and in a worse finish position. Without the knee bend, I can't slide, can't extend, and don't release properly. I have slowed down to under 12 mph, as I have noticed on the above monitor speed indicator. And, that makes my hook uncontrollable, at times. I fly right past single pin spares to the left. And, the 9 pin is the hardest pin for me. Missed it left, twice. Each time, the ball dove in the final 5+ feet. In Sr League, I pulled out a Urethane ball to use. Actually, to practice instead of my regular balls. I just get no finish with it, leaving 11, 10 pins. Then, missing 5. All to the left, hooking my spare ball at 12 mph. I have to go back and practice killing my hook on right side spares. All the things I have learned and practiced over the years are hurting me now. My release is strong, but too strong at this speed. I now have to change my release on spares, where I have tried to maintain the same release, just change balls. I can't slide and now have to plant. My steps are shorter affecting my timing. But, I have to fix it, as I will hurt my teams. Haha, I found a printout in my bag. Shows the night where I had 21 strikes in a row, the back 11 of game 1 and the front 10 in game 2. Now, I can't even get a Turkey. Heck, those 2 games are higher then my 3-game series now. When I first hurt my knee (now over 7 years ago), I did bowl 2 years taking only 1-step and averaged 194. I may go back to that. I had two decent games, but then seemed unable to stay right of the headpin, which was how I left the four spares I missed in the game. When my leaves were more reasonable, I usually made the spare. Last night 193, 234, 211. Bowling against the vacant team and in game 1 just got screwed on carry. Pins are in bad need of replacement in this center and the pair that we were on just seemed to have really bad ones. Can't rely on any light mixers and even some of the flush strikes don't carry if you didn't have enough angle. Needed just a mark in the 10th to win my point and I come in a little light and go pocket 7-10. Eliminator cut was 198 as well. Gross. Second game I found it and shot clean 234 but in the 3rd pulled the first shot, left a split but managed to rebound enough to shoot 211. But striking was not as easy as last week (scores seemed to be down across the house as well from last week) Team took 22 out of 25 against the vacant which is a gimme game almost because you only have to bowl within 15 of your average to take your point so we cleaned up. Seems like a bad idea in a scratch league. Probably something that will come up in the meeting next year (last year they had an even amount of teams so this is new to the league as well) when not everyone gets to bowl the vacant. Feel like I'm throwing it well but need a little bit stronger shot for the ball to get up and go through the pins. My spare shooting was actually really good this week going perfect on single pins and I feel like my release has been consistent. Time to go practice and work on it. practice last week helped, I learned the new ball's shape and able to get a solid starting point for the beginning of the night. Shot well but opened/ split in the 10th of the first 2 games with multiple strikes leading in. Last game finished with 3 strikes. The black n gold slams the pocket but angle can get a bit steep. Leaving big splits or solid 9 and 10pins. Throwing at the arrows is 18 and breakpoint is 6-9bd. I can jam up the middle 9bd to carry if I up the speed to 16mph, 15 seems to be my happy spot right and swing out, problem is solid 9 or 10pin if it comes in too steep. Good stuff J, glad you got something out of your practice. 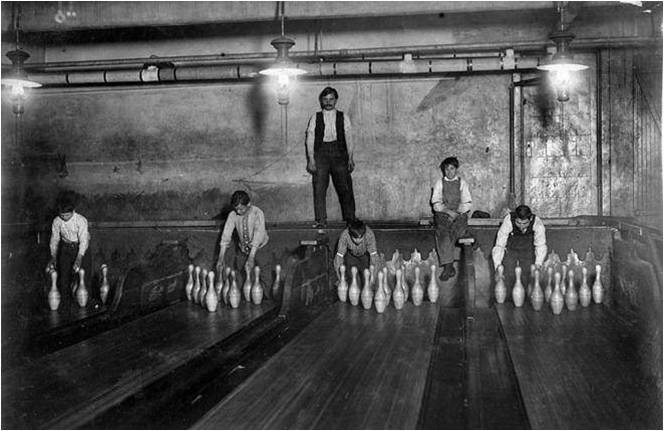 Too many bowlers don't practice at all or practice without a purpose. Had a good practice myself on Friday working on adjusting my release and finding something that worked. Had my high series of the season tonight. 238, 200, 257 for 695. Second game had a chance to go off the sheet and be in the 240s but in the 9th pulled a shot and left a 2,7,8 which resulted in my only open of the night. Other than that got much better ball reaction and had 10 strikes in the last game. Subbing in this center tomorrow so hoping to throw my first 7 of the season. I'm still on out of box surface. Maybe I'll add some shine to get down a weee bit more and not loose energy. Most of my difficulty was finding the adjustment for the left lane, because I had 5/5 strikes on the right lane in the second game, repeating my first game score in the third when I did find it. Si was absent, and we might have been able to use him, as we only won first game. On the other hand, the opposing anchor shot 747. Not bad Richie. J - having the right equipment for what you're bowling on is definitely half the battle. Doesn't substitute for good bowling but having the wrong ball can get you into a lot of trouble. Case in point: last night we had a lefty sub for us that threw the ball great, but he had all shiny weaker symmetrical stuff and was consistently leaving flat 7s and a few pocket 7-10s. He had a good game in the 3rd when the lanes opened up a bit but a stronger ball would've made a huge difference for him. Good amount of bowling for me this week. Monday I subbed and went 212, 208, and 230. First game I was actually clean the whole way with carry being an issue after an opening double. Switched balls in game 2 and did better until a few misses resulted in splits and finally put together a strong 3rd game that would have been a lot better had I not pulled a shot and opened in the 9th before striking out to end the night. Helped a team that was near the bottom of the standings win 7 of 9 though. Wednesday 218, 224, 173. Actually threw the ball like crap in warmup and to start the game. Had a work outing at another bowling alley earlier in the day and the only problem is that it was candlepin and I think that screwed me up with muscle memory because I was pulling a lot of my shots. But fortunately I carried a few brooklyns and was making my spares and I was able to strike out 9th & 10th and was throwing it really well with some extra stuff on it by the end of that game (even carried a messenger for one of those strikes which I almost never get). Started the 2nd game with a triple but got a little erratic toward the end and game 3 that plus missing the transition a few times and getting punished spelled disaster. However my opponent struggled and I was able to get my point in the 3rd despite losing the first 2 games. Team got killed lost 21-5. 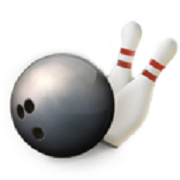 Tonight in the scratch league wasn't feeling too good about our prospects considering we had a bowler that was going to be absent and we were unable to find a sub that fit into the average criteria. We had to take his blind score of 164 against a bowler that's 21 pins higher. However the 3 of us were able to take our individual points which was good enough for a split since we lost the game. I only shot 194 but it was good enough from the #3 position. Unfortunately the approaches were pretty bad and I got a little tentative with a few shots and paid the price for throwing it too slow. But in the 2nd I got into a groove and actually had a six pack and was hoping for a 280 before a ringing 7 in the 9th frame. Settled for 248. Ended with 216 for a 658 series but plenty good enough to take my point and team went 20-5. We moved into 6th and get the first place team next week.